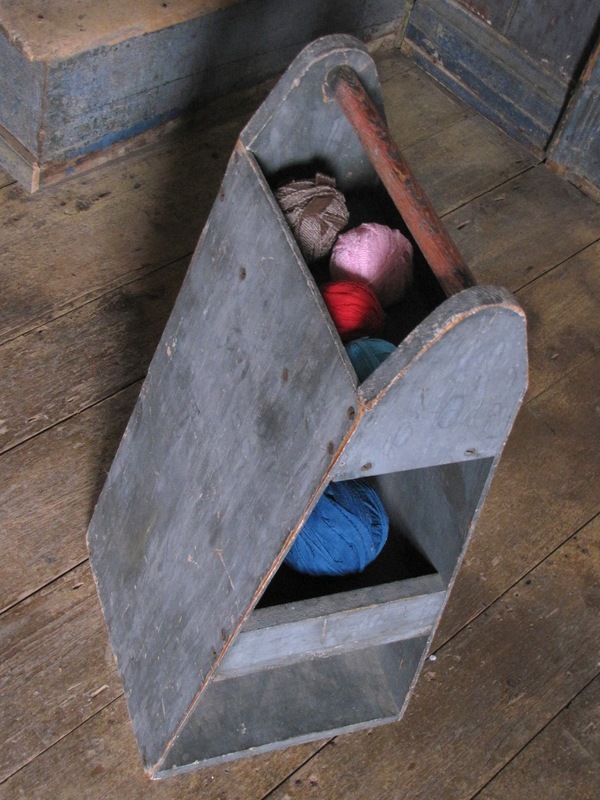 A three tiered tote with carrying handle found in upstate New York. Colour is blue and original. Overall height is 28" . 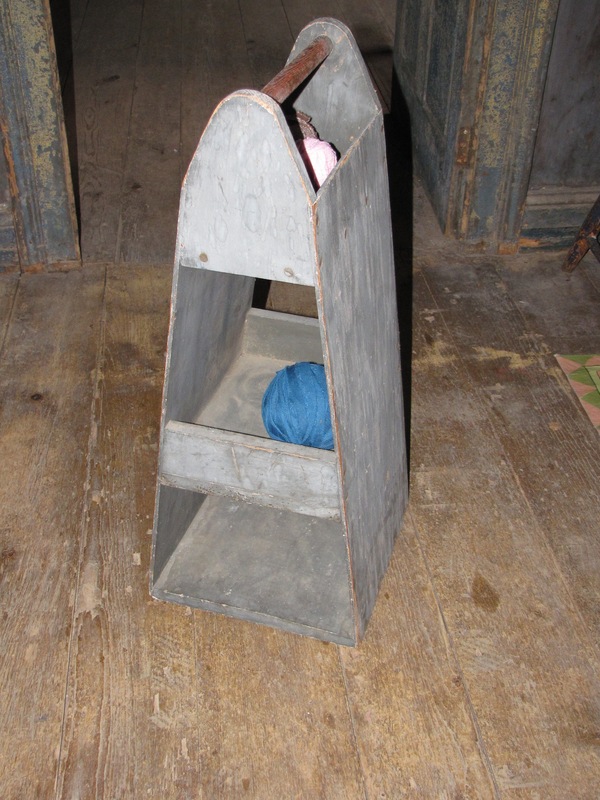 Not sure what it was used for originally but it can work many places - kitchen, bathroom or as a side table. I would date it about 1930's based on the air burn and screws.